Color outside the lines — whatever that means to you. There are some great examples out there already, including a free digit that Marcella recently did. Let It Be is perfect for what I thought of when coloring outside the lines. Since there were a few of those already done, I used a new stamp that was one of those Happy Mails that I got. The set is called Dream Wedding. Here is my example of coloring outside the line. It was hard not to color the image. 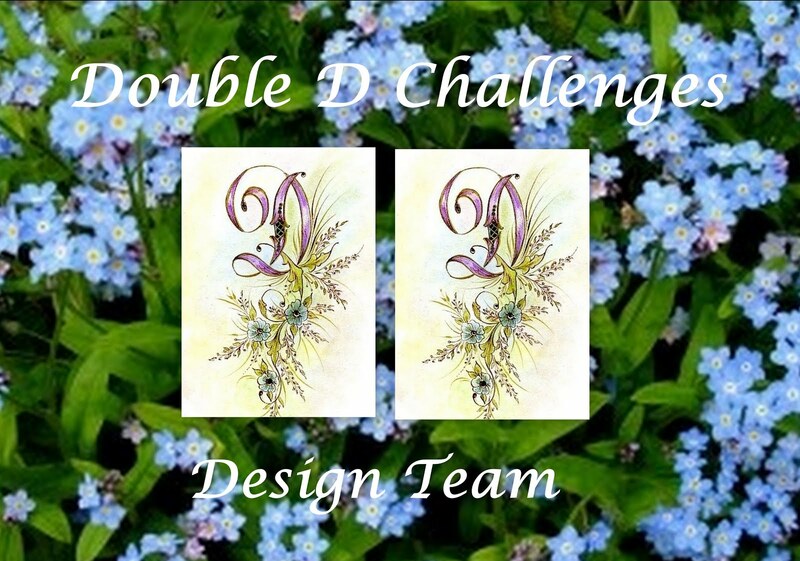 I stamped and colored the image first and then die cut it using the Frantic Stamper die, ovals and Filigree Frame #12. I stamped the sentiment in a fine ribbon with StazOn ink. The oval is popped out with adhesive tape. I added the pearls, but noticed that during the photographing, they slipped. I will fix that quickly. Thanks for stopping by to take a closer look. I love our comments. 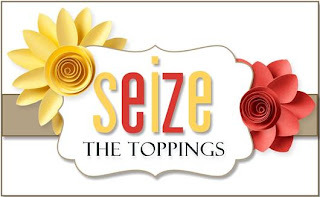 This time at Seize the Birthday our topping is Soft and Simple. Of course, it's always "Anything Goes" if you don't want to do the topping as long as it's for a birthday. Here is how I was inspired. I simply used a few dies and white and blue card stock along with some design paper. The flowers are stamped on water color paper and then I added some water color to the blossoms and the leaves. 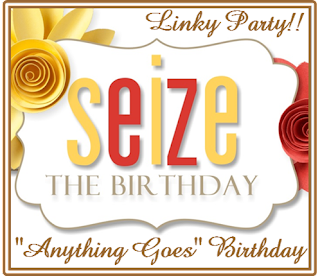 Please visit the Seize the Birthday blog to see the beautiful cards the rest of the team and our Surprise Party Guest, Monika, have made this week. I hope you will come and play along with us. Thanks so much for your comments. I really appreciate them. 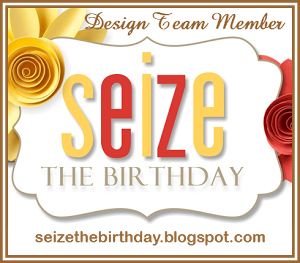 The design team at Seize the Birthday is joining the Altenew Ulitmate Challenge Blog Hop. What a surprise and what an honor. Please go over and check out the prizes up for grabs. I have recently been using Altenew stamps and have six in my collection. They are so fresh and I love the look. I have also enjoyed taking two classes recently offered by The Altenew Academy. Take a look at my card. I used my Zig Clean Water Color Markers on water color paper. This card uses the Persian Motifs stamp and die from Altenew. After randomly stamping the flower on my background, I went in with a water brush to blend it out. I used Lt Blue and Pale Green. The white detailed border is from Frantic Stamper called Fancy Frames #1. Then I die cut one extra flower and attached it with a tag from Stitched Main St tags, from Poppy Stamps, and a bit of silver twine. There is a layer of Jelly Bean Green and a base of Ocean Mist Card stock from Gina K Designs. Thanks so much for stopping by as part of this hop. Please take a look at what my team mates have done at Seize The Birthday. Time for a new challenge at Seize the Birthday and it is Frames. I went with a simple design for a frame, but dressed it up with a special background and image. See what I did here. Ingredients: Gina K designs card stock in white. Lil' Inker dies, stitched rectangles and diagonals. Vellum and gold embossing powder with gold embellishments. 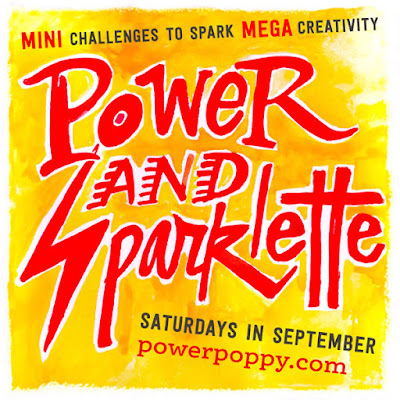 Please see what the other designers at Seize the Birthday have done for this challenge. We have a Special Party Guest too. Her name is Monika Reeck and you will find her designs here. Thanks for stopping in, I do appreciate your comments. 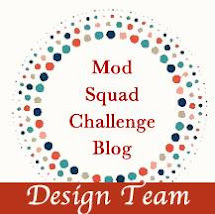 Mod Squad challenge! We hope you'll play along! Although we were thinking fall, we wanted bright early fall/late summer colors. We have provided you with a color palette. You may also use any neutral with this color combination. I used these GKD inks for this card, matching the color pallet perfectly. Tomato Soup, Peach Bellini, Sweet Corn, Jelly Bean Green and Grass Green. My neutral is Warm Cocoa. If you are wondering how I did the texture on the flower wrap, I simply googled, How to make paper look like fabric. The basket weave design was done with colored pencils. I sponged the background paper with the Sweet Corn and left a white space as I knew that I wanted to put a sentiment there. I also wanted to put some splatters on the background, but I wanted then to be precise. That is where a stamp came in handy. Here are the stamp sets that I used. Thanks so much for stopping by, if you have any questions about how I did this card, please feel free to ask.